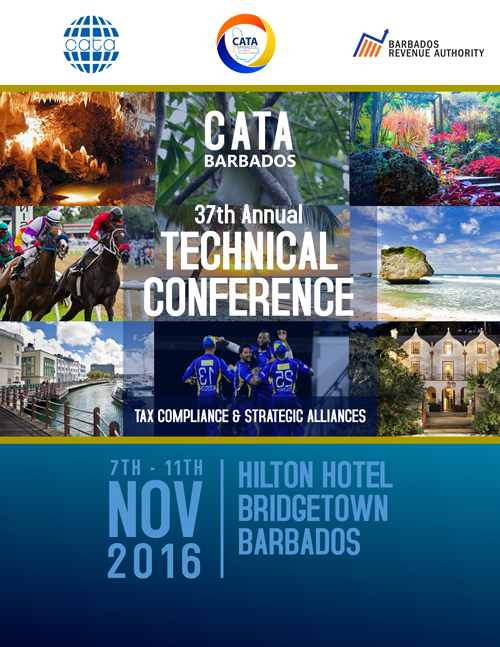 Arrangements for the next CATA Technical Conference, to be hosted by the Barbados Revenue Authority, are now well advanced and theonline registration system is now live. Links to the registration system and the online hotel reservation system have been sent to all CATA Country Representatives, who will be responsible for nominating delegates. If you wish to be considered please contact your Country Representative or Correspondent. He or she can be identified from the organisation chart on this web site. The online systems may also be accessed via the Members Area of this web site, together with all Conference papers currently available. The deadline for registration is 30 September 2016. A circular requesting the submission of country Background Papers in preparation for the Conference has been sent to all Country Representatives and Correspondents, together with guidance notes to assist in their completion. The deadline for the submission of Background Papers to the Secretariat is15 August 2016.